It's nearly impossible to envision there were once 25 million bison on the plains of North America. But it is even more difficult to comprehend that only about 1000 remained by the late 1800s. Hunting and mass slaughter almost wiped out the entire population. Today, thanks to agencies throughout the USA and Canada, the population of plains bison is beginning to grow again. There are protected herds across the continent. In Manitoba you will find bison in Riding Mountain National Park. Half an hour south of the Park, the town of Minnedosa has its own smaller herd. 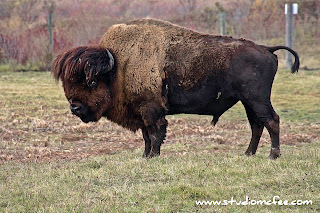 Some years ago I drove through the Lake Audy bison enclosure in Riding Mountain National Park. I'm not sure if this is still allowed but it definitely gave one a sense of bison in their natural element. According to the Park's website, guided tours are available. In Minnedosa, the bison are located just below the dam next to the Museum & Heritage Village. Trails around the enclosure give unfettered and up-close views of bulls, cows and calves. This can be a fun and informative hike, providing the mosquitoes leave you alone. 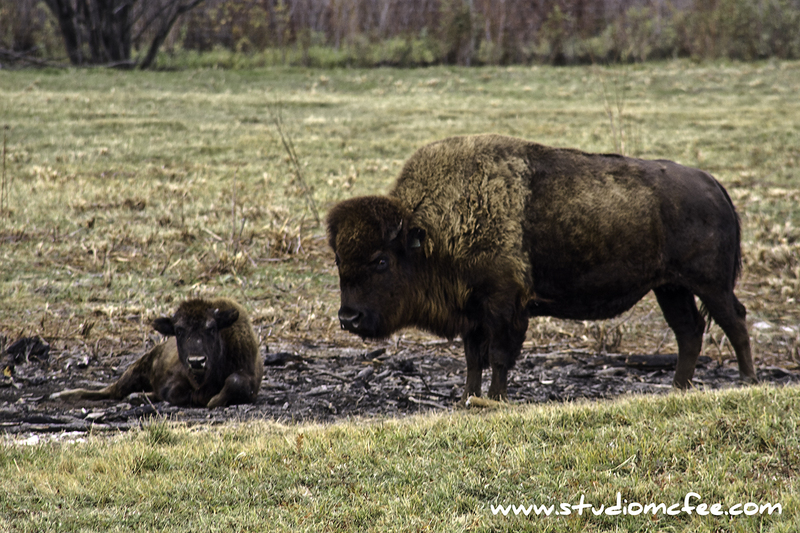 Even though the population of plains bison is growing, there continues to be concern for the species.